Walmart is leaving no stone unturned in its quest to cut costs. Updated with additional comments from Walmart. Walmart's (WMT - Get Report) success has been predicated on a simple philosophy: continuously find ways to cut costs and then pass along the savings to shoppers. Finding areas to cut costs is especially important for Walmart right now, as it embarked in the first quarter on a new phase of cost cuts on key items in certain regions. The prices cuts are designed to make Walmart even more competitive with grocery stores that have managed to close the pricing gap with the world's largest retailer. And they are focused on ensuring Walmart is remaining competitive with Internet juggernaut Amazon (AMZN - Get Report) . "Over time we intend to lower prices further in a deliberate strategic way to drive our productivity loop -- doing this in a sustainable way takes time and we're seeing progress," said Walmart CEO Doug McMillon on the company's first-quarter earnings call last month. Steve Bratspies, executive vice president of general merchandise for Walmart U.S., gave additional details on the price cuts, telling TheStreet that "our price investments will be broad-based, and will be on private label and national brands." Bratspies said that Walmart will be spending several billion dollars over the next few years to lower prices. TheStreet took a tour of a 1.2 million square foot Walmart distribution center (DC) in its hometown of Bentonville, Ark. One thing was abundantly clear -- Walmart is leaving no stone unturned in its bid to keep costs down. Working with fuel cell provider Plug Power (PLUG - Get Report) , Walmart has started to replace its battery powered forklifts with those that take hydrogen. The new fueling system (seen above) -- which Walmart has in 17 of over U.S. distribution systems -- allows a worker to fuel up the forklift and get back to work quicker. With battery powered forklifts, it took eight minutes to to recharge -- the new system takes three minutes. A Walmart distribution center processes zillions of packages, and requires a good bit of labor to make everything run smoothly. But, labor is a cost (that is rising) and could add inefficiencies into processes. So in the case of package sorting, Walmart has begun to test what it calls an auto case labeling system (ACL) that uses less labor and is more productive. The machine, which is exclusive to the Arkansas location, will sort and label about 700 units in an hour. Previously, Walmart workers would sort and label the packages by hand -- roughly 200 to 300 units an hour would be processed. No pictures were allowed of the new technology. Checking if inventory is in the right spot in a distribution center is a tedious process. A worker will hop on a forklift, go up and down the rack to scan items, and then move to the next section. Checking an entire warehouse takes about a month. Enter drones as a way to make the process quicker and more efficient. Walmart has begun testing the use of autonomous and remote controlled drones at its Arkansas facility. The drones go up and down the racks in the DC and provide real-time data to a worker on the ground. If an item is misplaced, it sends a signal for someone to pick it up and move it to the right spot. 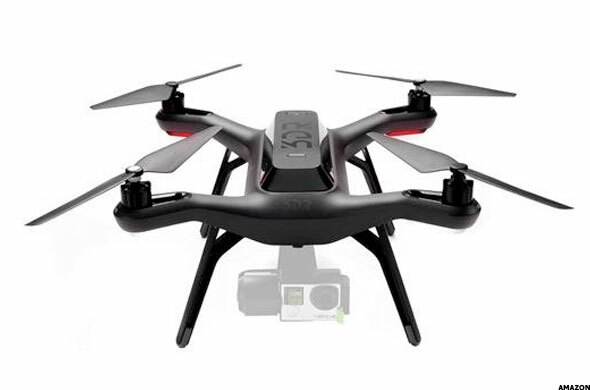 The drone technology is part of the retailer's emerging sciences division. The drones could scan about 30 images per second. Walmart said it has another 6-9 months of testing before deciding if it wants to scale the program to others DCs.